Considering a career in criminal justice? Thanks in part to the popularity of courtroom dramas and police procedurals, criminal justice is a rapidly growing field that's ripe with career possibilities. But whether you see yourself arguing cases in front of a jury or chasing down criminals on the streets, you'll need a degree to get your foot in the door. Review the evidence and you'll see that taking your required courses from StraighterLine will get you out of school faster—and with less debt weighing you down. The verdict is: It's a no-brainer. It's fair to say that there's no stigma to an online criminal justice degree anymore—especially when top schools like Boston University, Penn State, Arizona State, Drexel, and Loyola are offering them. Besides, plenty of professionals have earned their criminal justice degrees at night while working full-time jobs. 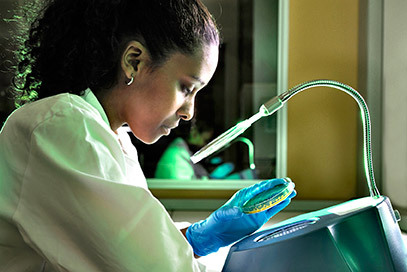 Whether you're a police officer who wants to get off the streets and into a courtroom, or you're stuck in a dead-end job and want to retrain as a crime lab technician, online classes allow you to work toward your future while maintaining your present employment. Most criminal justice programs will require you to take a large number of general-education courses, somewhere between 25-40 credits' worth. Since StraighterLine course credits transfer to any of our partner colleges or through the ACE CREDIT service to over 1,800 colleges and universities in the United States, why not save yourself valuable time and money and take them from us? By teaming with StraighterLine, you could save thousands—even tens of thousands—of dollars on your criminal justice degree.